If you are like me, you enjoy the beauty of what Fall brings, but get very sad that summer is ending! 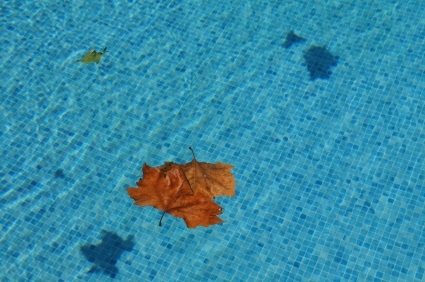 And if you are pool owner, the summer-end can bring even more disappointment. If you are looking for a way to extend your summer, there are a number of great options available! Swimming pool heat pumps, gas heaters, solar heaters and solar covers can all help to increase the amount of time you and your family can enjoy your pool! Heat pumps are an economical and reliable heating source for your pool! Gas heaters are a quick-heat option for your pool, though not as financially economical in the long run. Solar heaters are a cost-efficient method of non-electric pool heating for those that live in areas with a lot of sun, are okay with not having control of their exact water temperature, and can be flexible when they swim on days that the panels don’t keep the water warm enough. We love a heat pump as the primary heater with a solar back up to take the edge off the water. Solar covers are can be used with all types of heaters to help retain heat in your pool. No matter which route you take, our pool heaters can help you keep the ‘summer going’ into the Fall!